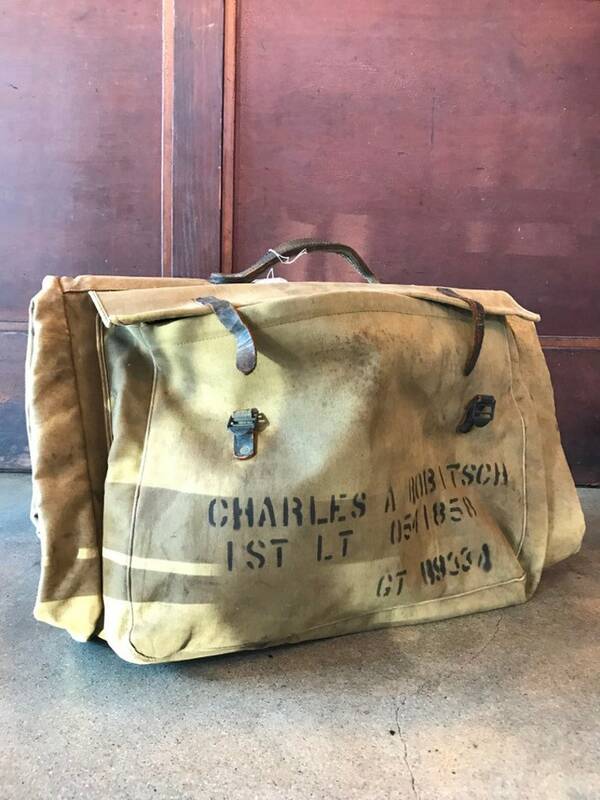 Gorgeous WWll army bag. Perfect weekend or carry on. Leather straps in great condition for age. Folds open with two additional pockets on each side. About 33” long x 22” wide when folded open 16”x22” when closed.